Use this ceramic whistle to make the sound of a warbling bird. 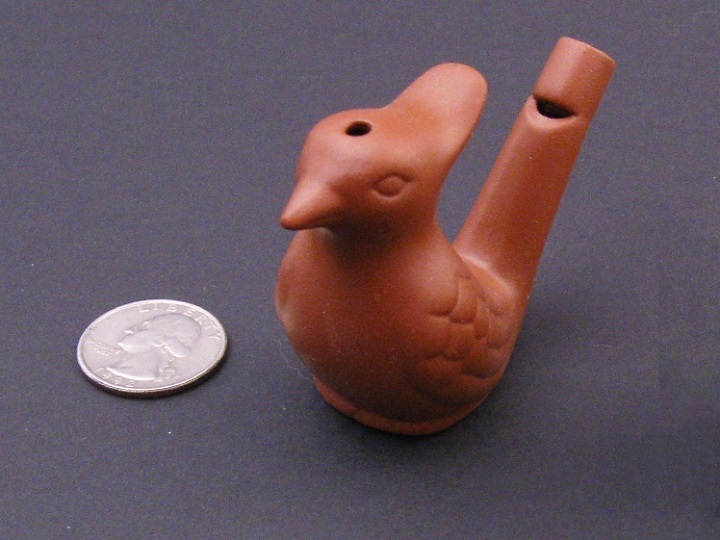 Fill it half way with water and blow into the pipe to make some bird song. 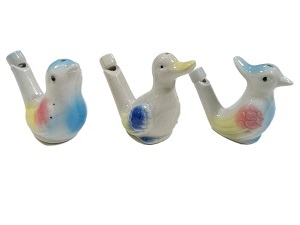 The White bird whistles are approximately 3" long, 1.5" wide, and 2" to 2.5" high. They weigh 1.3 oz. 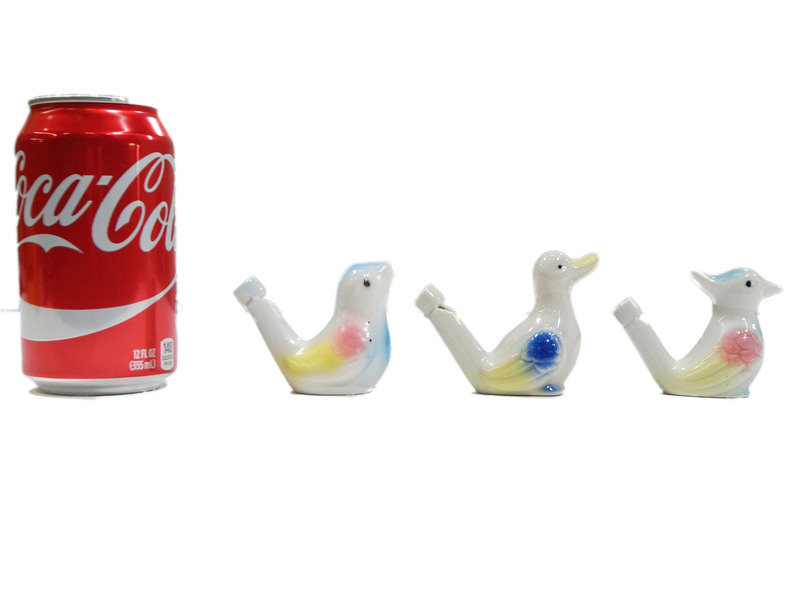 They come in three styles - crested, non-crested and duck. We will send you an assortment of the three styles when you order. 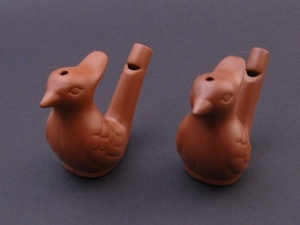 The crested Terracotta bird whistles are approximately 2" long, 1.25" wide, and 2" high. They weigh 0.9 oz.